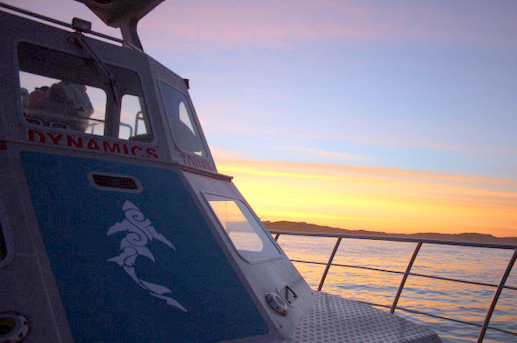 During the past week we’ve had the opportunity to join aboard both Dreamcatcher (whale watching boat) and Slashfin (Shark cage diving boat) of Marine Dynamics & Dyer Island Cruises. 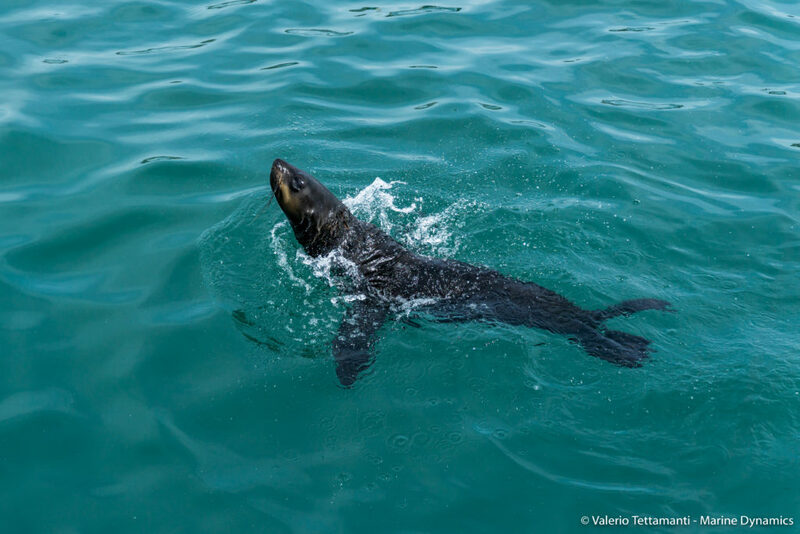 During these cruises we got to appreciate the Marine Big Five (sharks, dolphins, whales, penguins and seals) along to beautiful resident species of sea birds. 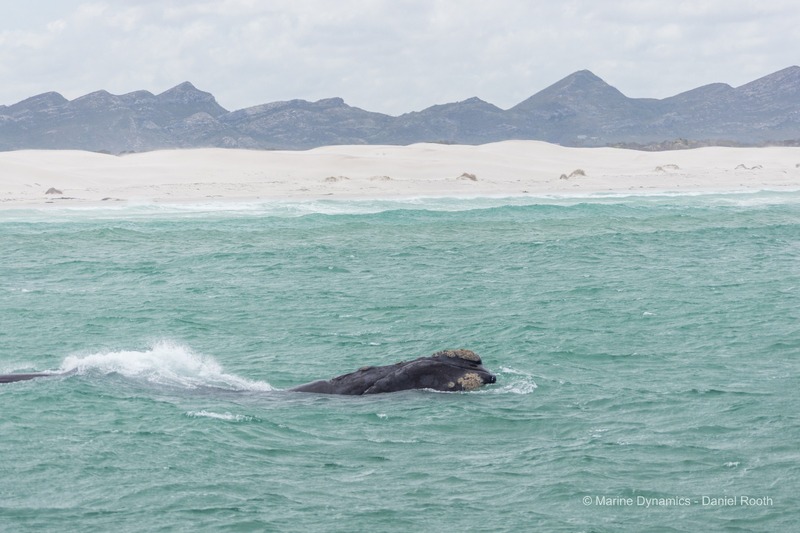 The most commonly whale found in this period of the year in Van Dyks Bay is the Southern right whale, Eubalaena australis, a baleen whale which resides in the area from July till December for breeding and calving. These gentle giants can be found in pairs of mother and calf, often in shallow water, swimming slowly and if approached carefully they can get pretty close to the boat. In the shallows, where the Slashfin operates, two different species of sharks can be found. 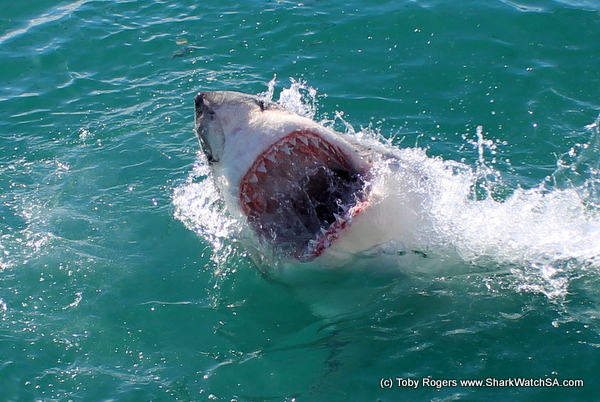 The most iconic one is surely the Great White Shark (Carcharodon carcharias), which attracts tourists from all around the world. This species is listed from IUCN as vulnerable as per 2018 and its major threat are humans. Millions of sharks are killed every year by fishermen longlines and trawlers (by-catch) and by illegal poaching which aims at the fins for the infamous soup. 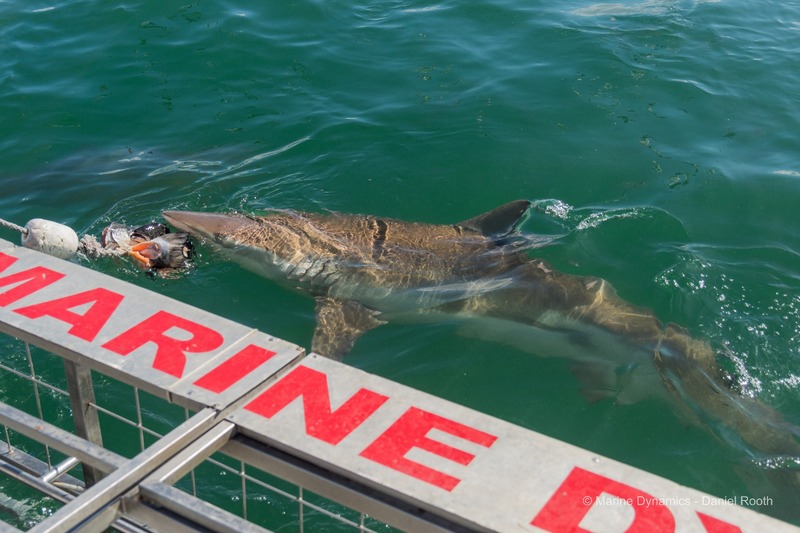 The other shark species which is largely found on the shallow water in front of Uilkraalsmond Natural Reserve is the bronze whaler or copper shark (Carcharhinus brachyurus). These sharks feed mainly on cephalopods such as squids, and fishes and they are one of the natural preys of great white sharks. If we are lucky when we come around to the Island, it is sometimes possible to spot some African penguins (Spheniscus demersus) swimming in the water or sitting on the rocks. These birds are listed as endangered due the past removal of guano from islands for use as fertilizer and the fact that penguin’s eggs were a delicacy and therefore collected for sale. 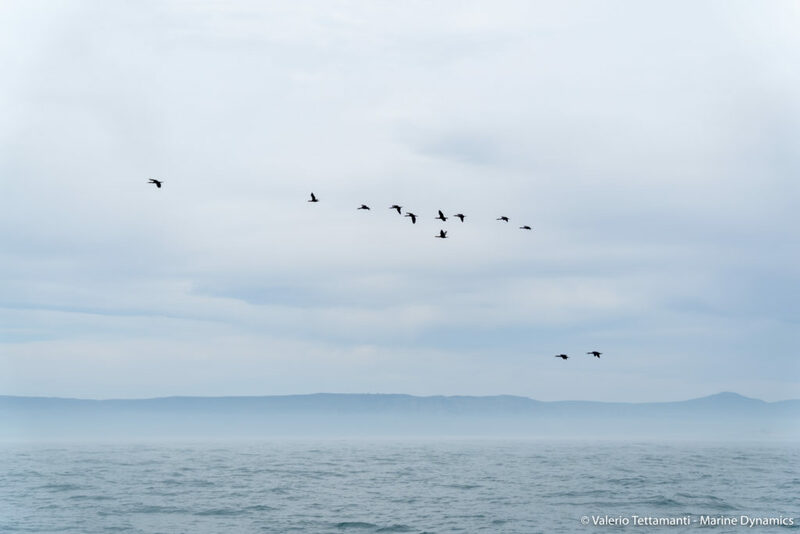 The local penguin population is now increasing little by little thanks to the efforts of the African Penguin & Seabirds Sanctuary of the Dyer Island Conservation Trust, which placed many human-build houses for the penguins on the island and rehabilitates injured individuals. Geyser Rock, on the southern side of Dyer Island, host a colony of approximately 60’000 cape fur seals. These mammals are super curios and even though they can look clumsy on land, they are very elegant and capable swimmers. The last of the Marine Big Five which we luckily encountered in our adventures aboard the two vessels of our organization are dolphins. 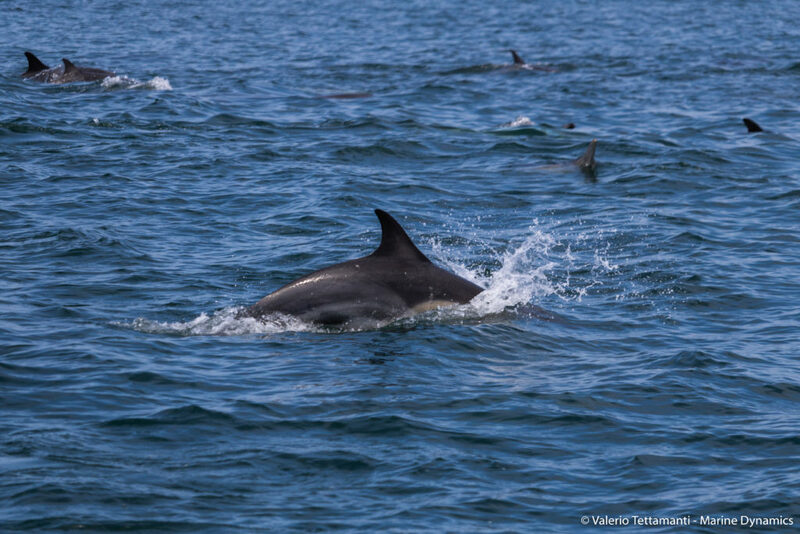 Both species of humpback dolphins swimming in the shallow waters in front of the natural reserve and common dolphins on the other sea past Geyser Rock made their appearance in the water of Van Dyks Bay in the past weeks. Around the bay there is also a large variety of sea birds! Cape and Crown cormorants, African black oystercatcher, Swift and Caspian terns are just a few of the any species which inhabit this area. The marine life of Van Dyks Bay is diverse and beautiful, ranging from small invertebrates to the majestic whales and it needs to be preserved through conservation. Hopefully the efforts of the population and the various organizations will have a happy ending, especially for the nowadays low population of penguins.